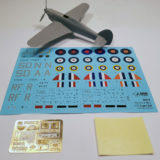 Home » Posts tagged "photoetched parts"
Hurricane Mk I Expert set model kit contains additional accessories for upgrading plastic parts: photo-etched parts sheet and canopy masks. 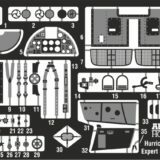 Today we start to look closer at the model. And the accessories included are presented first.